When do you need to think about redesigning your website? It's a question we get asked a lot, but there really is no set timeframe. The best answer we can give you is just "when it needs it". Let's take a look at when exactly that might be. Is there an average website lifespan? You could probably work one out, but it would be an average based on how often companies actually get their websites redesigned, not based on when websites stop being fit for purpose – so it wouldn't actually tell you very much at all. In our decade of experience designing and building websites, we've noticed that the businesses that are the most active – and the most successful – online tend to shake up their website every two to three years. Over that time, we've re-done ours every two to four – the longer gaps are usually because we're busy re-designing other people's! While it's not a guarantee, we would be very surprised if a website over three years old doesn't check at least one of the boxes we've listed below. How can you tell if your website is no longer fit for purpose? If you're in two minds about whether or not you need a new website, then have a think about these points. It doesn't matter whether your website is two or ten years old – if these are striking a chord, then it could be time to look into some changes. It doesn't have to be a complete redesign, of course – depending on the extent of your digital issues, you might just need some upgrades, new features, or changes in approach. But sometimes it is just better – and feels much better – to rip it up and start again. If people aren't filling in your contact form, dropping an email, or picking up the phone as much as they used to, then it could be down to your website. Lead generation has changed a lot in the last few years, with a focus on content marketing that provides answers to questions and problems that your potential customers are searching for. If your site doesn't have this content, they'll be more likely to click on the competitor that does – even if you're actually a better fit. Or it could be because the user journey through your site is too complicated and needs a re-think. This means how people move around your website, for example how they get from your home page to the internal page where they learn what they need to learn about you, and then on to the contact details to get in touch. You don't understand it – you're not doing anything differently, but all of a sudden you've fallen from first place on Google to towards the bottom of the page. It's the doing nothing that's the problem – Google changes its algorithms hundreds of times a year. Mostly they're very small changes, but major ones come along every now and then to really shake up the way it ranks websites. Over the past decade, Google's got better at understanding the context of the words you use, changed the way it considers mobile users, adjusted its definitions of spam, changes its mind about paid links, and made some judgements about website quality, to name but a few. This means that a site that was finely tuned to climb the rankings a few years ago might be breaking a few rules today. Google isn't the only business that's allowed to change! Over the years, you'll have grown, recruited, promoted, added new products or services to the mix, changed your priorities, rebranded, moved offices… the list is endless. If you've not updated your website for a few years, then it won't be reflecting who you are now, and what you do. This could mean you're missing out on potential clients that you're the perfect match for now – but weren't quite right for a few years ago. Web design is incredibly fickle. It's hard to believe now, but designers used to go wild for faux-3D bevels, drop shadows and shiny effects, particularly on buttons. Scrolling marquees were the height of technical sophistication. Teeny tiny fonts were great, because you could pack more into a page. And don't even start with Flash animations. This stuff just looks dated now. It's the digital equivalent of a logo that looks like it came from the 80s (and not in a good way). While it should be what's underneath that counts, web users are as fickle as web design – and a site designed using best practices from as recently as 2013 could be putting people off engaging with you. Mobile performance matters – and if your site is hard to use on phones and tablets, then it will have an impact on both the user experience of your site, and your Google rankings. We go into detail on this in our blog on responsive web design for mobile, but in brief, more than 50% of all web traffic is on mobile, and people have very little patience with sites that don't work on their phones. We designed the Edge Student Living website to be mobile-first, perfectly suited to their young student userbase, as well as ticking the mobile boxes of Google's algorithms. You might think that, if you don't get a lot of mobile traffic anyway, it doesn't matter – but it does. Google is increasingly considering mobile performance in the way it ranks websites in both mobile and desktop searches – so a bad mobile site could start to impact the performance of your top-notch desktop version. The government's own figures have found that almost half of the companies in the UK were hit by a cyber attack in the past year. That number goes up to nearly 70% of large companies. We can't ignore this. Take a look at your website's full URL. Does it start with HTTP? Most do – it stands for Hypertext Transfer Protocol, and it's essentially the communication system that makes the World Wide Web work. Over the past decade or so, that protocol has been improved upon – HTTPS (accompanied by a little green lock symbol in your address bar) is a more secure version that was originally used for websites that involved transferring money in any way, but has, in the last ten years, increasingly become the standard for websites of all kinds. Around 50% of the web uses HTTPS. HTTPS improves privacy, data integrity, and prevents attackers from eavesdropping or interfering with what you're doing online, and it's just one of many security features that websites really should have now. Outdated software is always vulnerable to attack – so don't leave it too long between upgrades. Bloated websites full of unnecessary pages and images, old and unsupported software, too many plugins – there are a lot of reasons why a website might be running slow. Not only is it a nightmare for anymore trying to use your website, it's also a no-go for Google – they've considered site speed in search rankings for a long time now. Depending on the issue, a slow site can be sped up without the need for a full overhaul – but this is sometimes just a case of treating the symptom, rather than the disease. At the very least, it's worth asking a developer to have a look at what could be slowing you down. Have you ever seen your website's design re-used somewhere else? Sometimes your site could have been an inspiration, with similar elements used. Sometimes it could be a fairly direct copy, tweaked to fit another business. And sometimes, someone will find a way to export your entire website and re-upload it with the names changed. 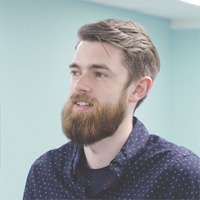 That last one is weird, and we're not sure why anyone would do it – but we've seen UK businesses have their websites basically cloned by overseas companies, with all the images of the team left intact. Seriously, why? If, for any reason, you feel like your identity has been encroached upon, it's sometimes a better idea to just start again than spend ages sending takedown notices. There are so many different ways that a company website can integrate with sales tools, CRM systems, internal intranets, ecommerce platforms, and a whole range of admin and reporting tools. A website that stands separately from these things, rather than integrating with them, could be leading you to double up on your workload, miss out on connections, or let errors creep in. 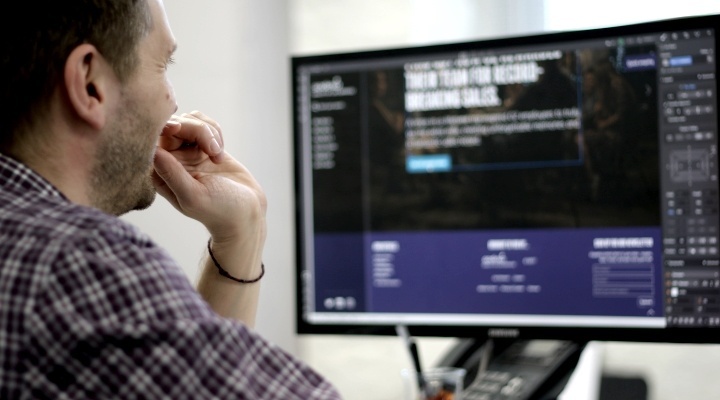 Web designers often fall into the trap of designing for themselves, rather than designing for the people actually using the website at the end of the day – and it's not just tastes in colour and font that come across. The internet isn't always set up to suit people with disability and accessibility needs. Many websites have usability barriers in place for people with vision and hearing impairments, or dyslexia, for example, because it's so easy to just not even consider them. We built the website for local charity Unique Ways to meet AAA accessibility standards – on our last visit to the office, everyone's screen had a different combination of features toggled on or off to meet their needs. There are various fonts that are more readable for people with dyslexia, certain colour combinations that are best avoided, standard text sizes that can make sure things are readable. But if your company or service has a client or user base with a higher proportion of specific accessibility needs, then there are various guidelines in place that designers can follow to ensure the best experience for everyone. How easy is it to add a new service page, blog post or team picture to your website? Can you just log in and do it in a few clicks, or are you faffing around in the back-end of your site for hours at a time? Or, worse still, do you have to get on the phone to your web developer, who then takes a couple of weeks to upload the blog post about the sale event in three days' time? Website content management systems – the back-end bit, where users can add pages, copy and images to their site – have become sophisticated enough that anyone can act as the fully-functioning webmaster of their site. You shouldn't have to spend ages, or rely on someone else to do it for you. We develop most of our websites in WordPress, for example, and focus on making their already-user-friendly admin controls even easier to use, so you can add custom design features with just a few clicks. We've saved the simplest test until last. How do you know you need a new website? You're absolutely sick of the sight of it. You don't need to justify it – maybe it's a lot of reasons, rather than just one. You just need a change, and you need it now. We know the feeling. Future-proof websites – are they possible? Is there any way to avoid this constant stream of changes, upgrades and redesigns? We can try, as best we can. For example, current design trends seem to have landed on a fairly minimal approach, built to work well on any kind of device. Minimalism is pretty much always in style in one way or another – and a focus on using less elements to tell a story means it's less likely that one of those elements is going to go out of fashion in the next year or so. Meanwhile, our use of platforms such as WordPress means we can update software versions, add security updates, build new sections and update technical SEO factors without the need to start from scratch every single time. But it's still impossible to predict where trends, Google algorithms, security threats and user preferences will go. The same goes for your own growth as a business and tastes as an individual. It's unavoidable, unfortunately – you will probably need to update your website at some point in the next couple of years. So, when that day comes, it's best to make sure it's tailored exactly to your specifications, your expectations of growth, and your tastes. 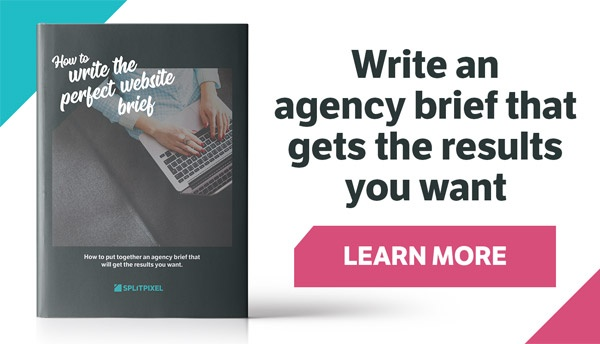 We've put together a guide to writing a website brief for an agency, going through everything you'll need to tell them to ensure you come out with the website you need – and, hopefully, one that'll be around for a while. You can download it for free below – and if you have any questions, don't hesitate to get in touch!